Club Burning Sun's ex-employee: That person's scale is tremendously big. The triad (T/N: organized crime syndicate from China - they do drug traffic, counterfeit, etc.). They even brought the big boss. - They are related. When Lin came to the Burning Sun to visit, the triad gangsters came along, there is also a picture with Lin's manager together with the group. - Seeing how one of the visitors said that if they did drug in China, it's death penalty and that the Burning Sun is a place where drugs are distributed, it can be alluded that Chinese visitors come to Korea for drugs purposes. - Lin is a big investor to of the Burning Sun. The triad's illegal money was laundered into 'clean money' through the Burning Sun (T/N: money laundering is the process of making illegal money appear as 'legal'). 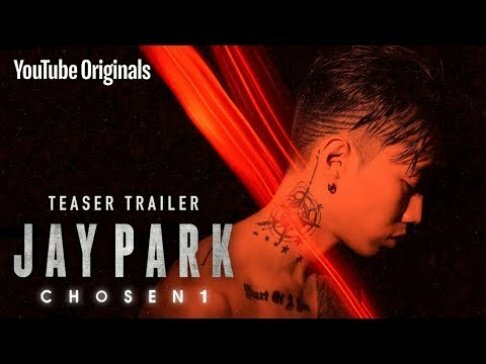 An analysis of the money that Lee Moonho (Burning Sun's CEO) received already revealed that significant money made from tax evasion flowed into his pockets. - In the end, by investing almost nothing, he ended up with 20% of the Burning Sun's shares (through Yuri Holdings). - Even though Yuri Holdings is doing a lot of business in the restauration world, the accounting analyst judged that it is difficult for the company to be making so much money from franchises. Hence, the analyst concluded that it was highly possible that Yuri Holdings' profit was partly from the Burning Sun. Ultimately, Yuri Holdings is an investor of the Burning Sun Club. - They cleared the charges of closing down the Burning Sun's business even though minors were admitted to the club. 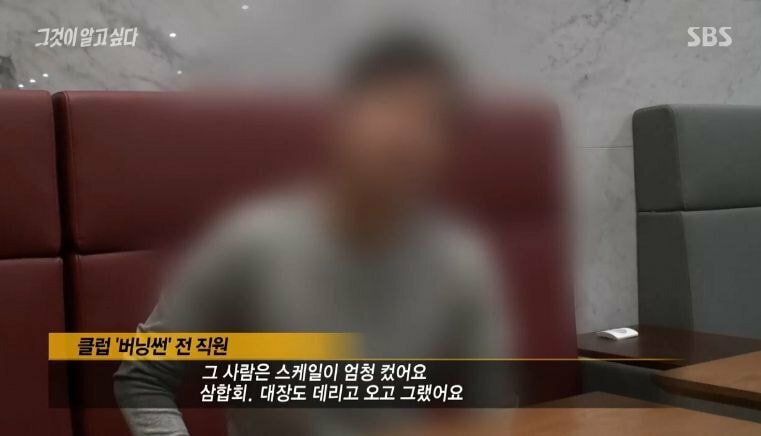 - Mr. Kang, a former police officer who got arrested received around 2-5 million won per month (collusion) from the Burning Sun/Seungri. - Club Arena's tax evasion was reported by a prosecutor but the case was later transferred to the Gangnam Police. The amount of tax evaded was estimated to be 28 billion won. However, the case was moved to be handled by only one policeman. It is weird how the Gangnam Police was unable to handle a case of such scale. - The 'I Want to Know That' crew received an official document from the police asking them not to "defame the police's character". Kim Sang Jeung (I Want to Know That's MC) said that the police has never contacted him that many times ever since he started doing the show. I have to give Seungri credit for this... I always thought his business dealings were just for appearance sake for his overall image as a Big Bang member but he was actually on the level of a small time crime boss. Props to China for putting down the law so hard that they have to escape to S.Korea to do it all. Now I want S. Korea to go hard on thise case without any corruption.